As soon as the Nexus 5 went live on the Google Play store and I confirmed that it in fact would work with the Sprint network, I ordered one hoping that I could use it on Ting. I knew it was a bit of a gamble as having a totally unlocked GSM and CDMA device is an industry first and totally foreign to CDMA providers. I am glad I took the risk because my new Nexus 5 is activated and working as intended on Ting. It is still early in the process for Ting, but I have my phone up and running with 100% functionality: voice, SMS, MMS, and data (3G and LTE) are all working well. 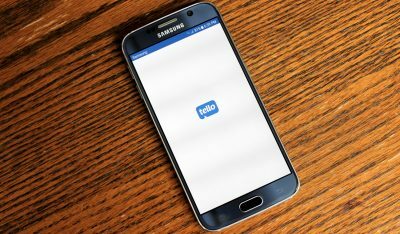 Ting is in the process of creating a more standardized method of activating the Nexus 5 so it is in an “open beta” phase at this point. It may take a few weeks to work out all the kinks, but if you have a Nexus 5 and would like to activate it on Ting, it can be done now. 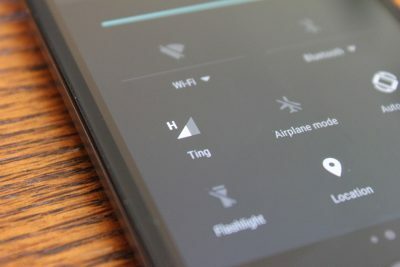 If you have never heard of Ting before or are thinking about becoming a new customer, read my review of Ting to get a better idea of what Ting is all about. If you are a new customer you can also use my referral link for a $25 credit towards your first month’s bill. All the information you need to activate a Nexus 5 on Ting is in the linked blog post above, but below are the basic steps in a more condensed version. 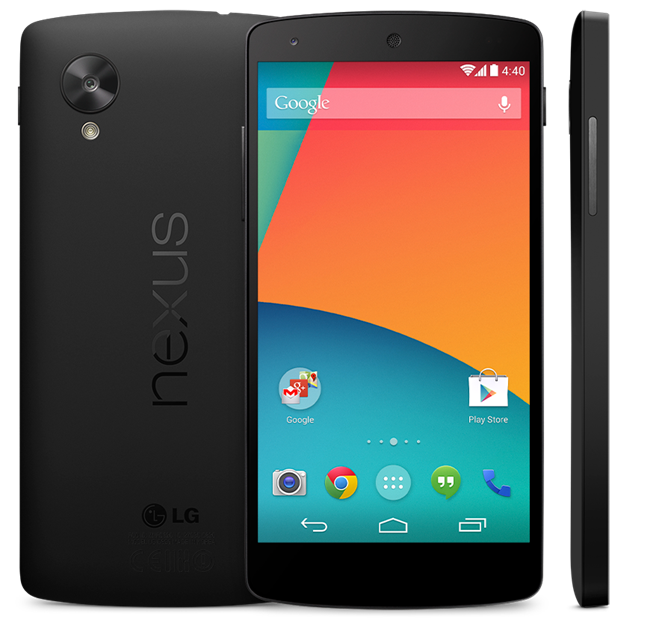 Buy an unlocked Nexus 5 from the Google Play store (other versions will not work). Insert the UICC SIM into your Nexus 5. Note if you got your SIM and put in in the Nexus 5 prior to first boot or you inserted the SIM and then factory reset the device you should be able to get your 18 digit MEID by going to Settings → About phone → Status → scroll down to show your MEID. Go to the bring-your-own-device (BYOD) page on Ting and follow the steps, first inputing your MEID (DEC) or IMEI (Ting will convert it to the MEID for you) and then the 20 digit ICC ID from your SIM card – the Nexus 5 should then activate online. Go to the Device Settings section of your Ting account, click on your Nexus 5, and make note of your MSL number in the left hand side of the device settings page. While you are in the “Device Settings” section check the boxes for “Can send and receive picture & video messages” and “Allow other devices to tether to this device” as they are unchecked by default. 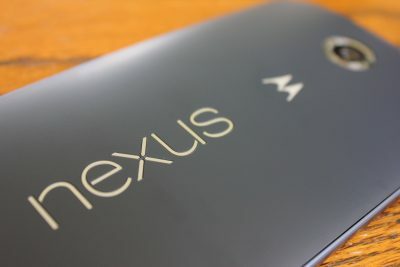 Now restart the Nexus 5 or turn it on if it is currently off. It will go through a self-activation process and at the very least the voice service and SMS texting should work. If a self-activation sequence does not complete skip down to the troubleshooting tips before proceeding to step 8. UPDATE: the remaining steps should not longer be required. 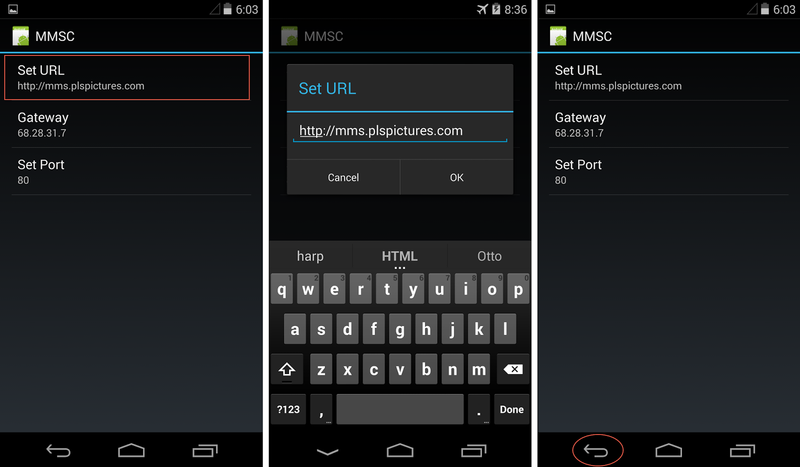 Ting is now able to use the default MMS url. Check to see if MMS is working after activation, if not you can proceed with the following steps, but they should not be necessary. At this point everything should work perfectly – voice, texting, and data. If you are still experiencing difficulties getting your Nexus 5 working check out my list of troubleshooting tips and FAQs below. Problem: When I activated online everything went through on the Ting website, but my new Nexus 5 won’t ever finish the self activation sequence. Solution 1: Try a factory data reset by going to Settings → Backup & reset → Factory data reset. Solution 2: or a carrier settings wipe by dialing *#*#72786#*#*. Note: if you do this you will have to reapply the changes made above to get MMS and all 3 LTE bands working. Problem: I have voice and sms texting working on my Nexus 5, but I can’t seem to get data to work. Solution 1: Go to Settings → More under Wireless & Networks → Mobile networks → Carrier settings and update the PRL and profile. 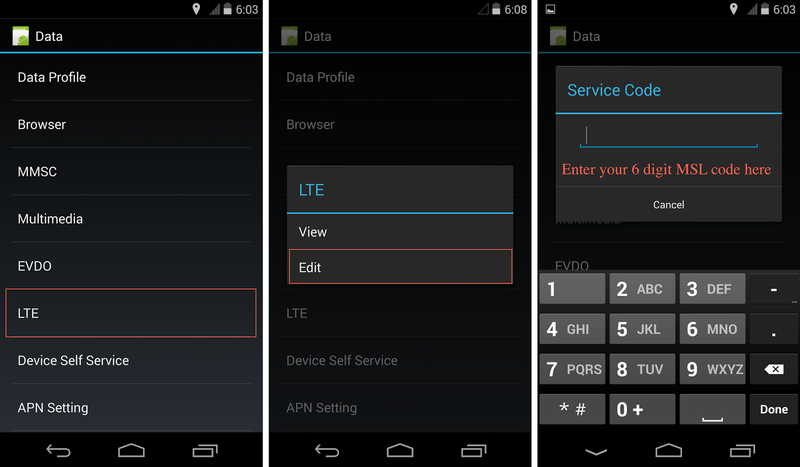 Solution 2: In the phone app dial *#*#DATA#*#* → More → change eHRPD to disable. Some users have reported that this initially helps get data working and can be changed back to eHRPD “Enabled” once 3G and LTE are functioning okay. Problem: LTE data is working on my Nexus 5, but I have noticed calls and texts are not coming through while I am connected to LTE. Solution: Go to Settings → More under Wireless & Networks → Mobile networks → and change the Network Mode from “Global” to “LTE” or vice versa. 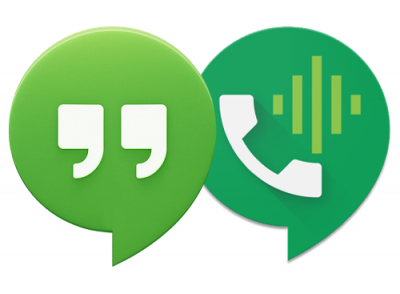 allow incoming calls and texts when connected to LTE seems to vary depending on the region you are located, so if one setting is not working for you try the other one. 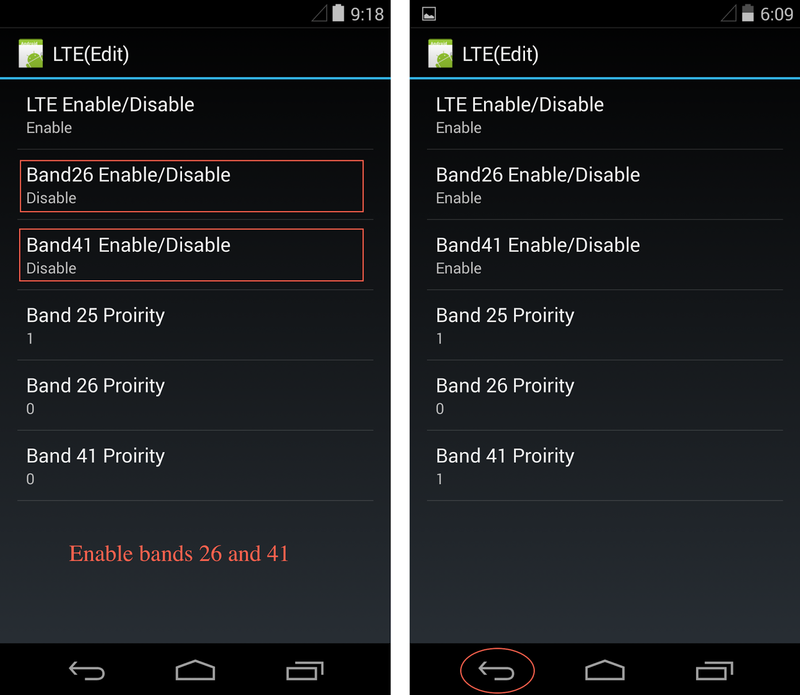 Problem: LTE data is on but not working on my Nexus 5 as well as my other LTE phone(s). Solution: In the phone app dial *#*#DATA#*#* → LTE → Edit → enter your MSL → now change the priority (its actually misspelled “proirity”) of the cellular bands, testing each band with a priority of 1 while the others are set to 0 → press the back soft-key to save and restart → after restart test your LTE to see if you have a stronger signal or faster data speeds. Note: in regions that used to have WiMax 4G Sprint may be rolling out LTE on that spectrum, AKA band 41.